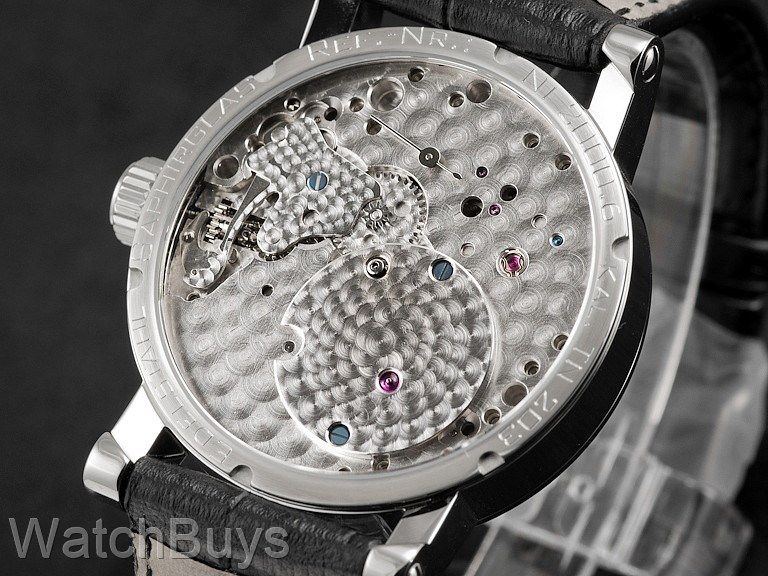 The Vice Versa II Rhodium takes its name from a movement that has been completely inverted. To create the Vice Versa II Rhodium, the movement is modified so that the dial can be located on the back of the watch (which is now the front). What is normally the dial side of the watch is actually the back of this watch (remember the name is Vice Versa), and the dial plates and other components are elaborately decorated. The Thomas Ninchritz Vice Versa II Rhodium is a masterpiece. Verified Owner Comments: I've been wearing this one a lot lately. It always draws compliments. 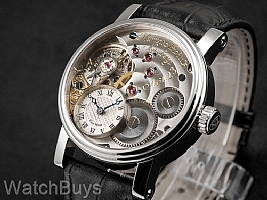 It's the perfect watch for someone like me who loves the reverse sides of movements. Now I can appreciate that viewpoint whenever I look at this watch.